The British cuisine is on the menu at this fast food. 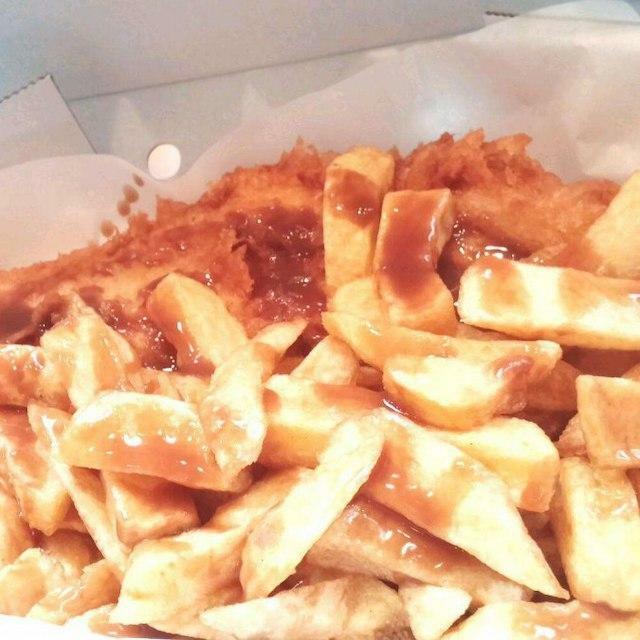 Come here for tasty haddock, fish & chips and haggis if you are hungry. 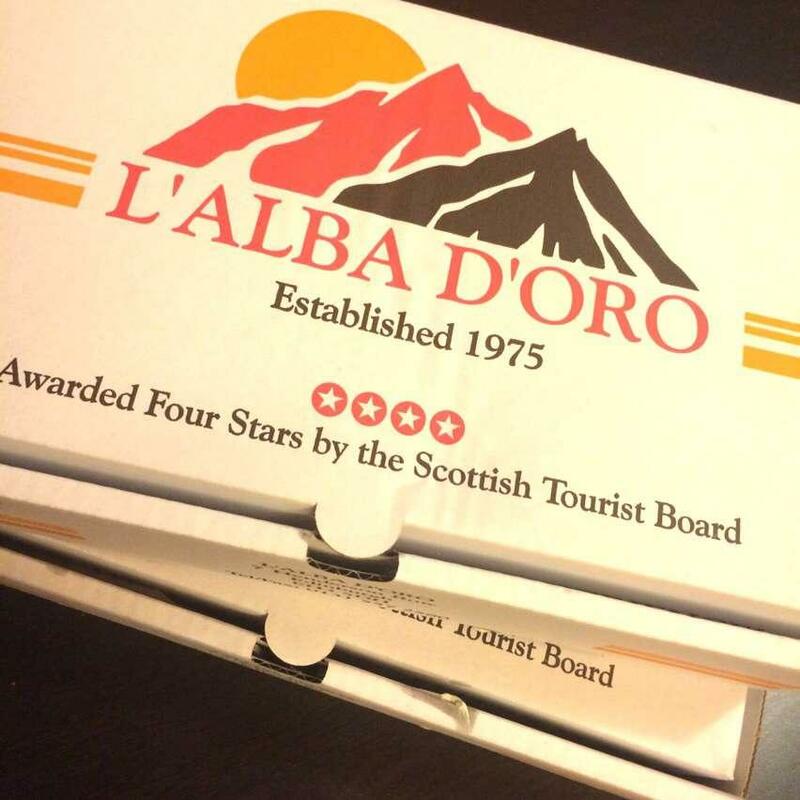 According to some reviews, pudding is perfectly cooked at L'Alba D'Oro. After a long working week, you can taste good wine. This place with takeaway dishes is good for those guests who like to have supper in a hurry. The well-trained staff welcomes visitors all year round. If you want to enjoy fast service, you should visit this spot. Prices are found attractive here. This fast food was rated on TripAdvisor, it received 4. Fish and chip e pollo fritto fantastici. Consigliatissimo!!!! Good food but quite pricey. Not convinced about the customer service either. I have been in 3 times in the last month and they have screwed it up every time.Firstly, the lady asked if I wanted sauce, no sooner had I said “y...” she drenched my sausage supper in brown sauce. 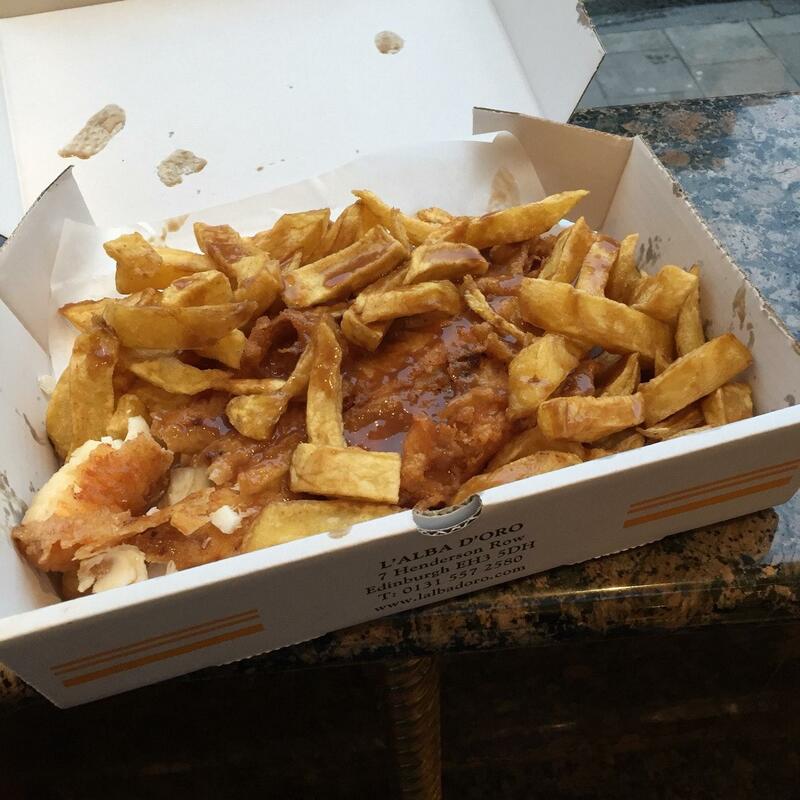 I was going to say “yes a small amount of Ketchup in the corner please” - I told her this and she didn’t seem to understand, claiming thats how it’s done in Edinburgh. I’m sure it is, but that’s not what I wanted thanks!!!! It ruined the meal.Secondly, the young lad served me and I asked for a sausage supper and a pickled egg. 5 mins later I was handed a sausage supper in a plastic bag, which I was charged extra for. I questioned this and he said I had asked for a plastic bag. No Sir, I asked for a pickled egg not a plastic bag. It appears you do not have a good enough level of English for a customer service role in my opinion. Thirdly, I asked for a sausage supper, can ofcoke and a pickled egg. Again, I was handed the sausage supper and got home to find no pickled egg inside. A decent chipper, but the staff just needTo sharpen up a bit.